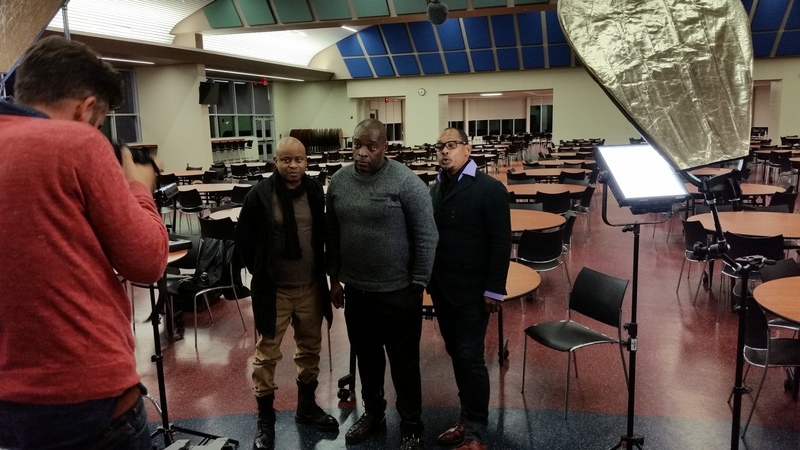 The Belleville Three, Juan Atkins, Kevin Saunderson and Derrick May are seen being interviewed by the British Broadcasting Company (BBC) for a documentary they plan on releasing next year. These gentlemen met as students at Belleville High School and are credited with inventing the musical style known as Detroit techno. 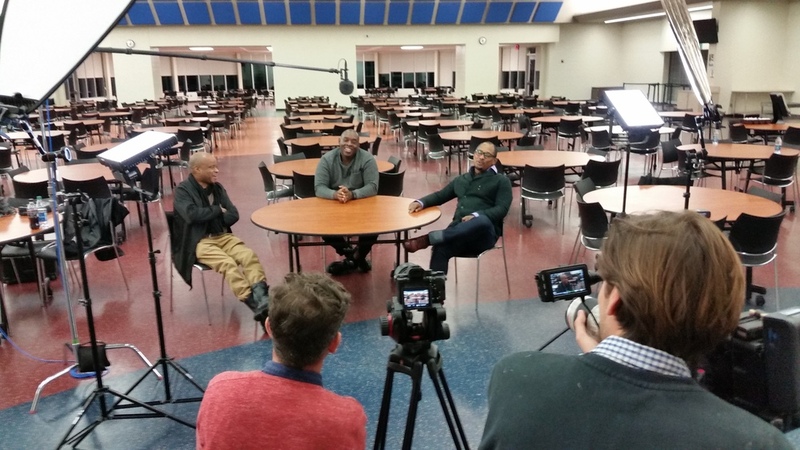 These photos are of the three being interviewed at Belleville High School cafeteria for the documentary recently.